This walking tour from the train station to the Castle takes you past most of the Old Town's major sights - more info on which you'll find by following the links. 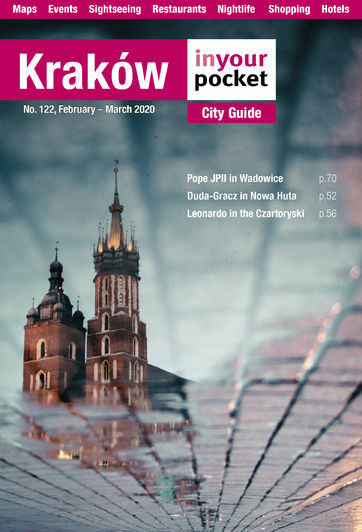 Any exploration of Kraków’s Old Town should start with the ‘Royal Route’ - the historical coronation path of the Polish kings when Kraków served as the royal capital from the 14th century to the very end of the 16th century. 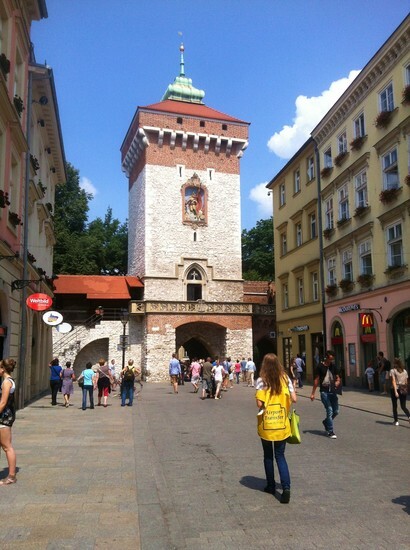 Most of the Old Town’s prime sights lay along this route from the Floriańska Gate to Wawel Castle. For many of less noble lineage, however, the route begins at Kraków’s train station, a walk from which to the main market square is among the most regal and awe-inspiring introductions to any city in Europe. Following the human traffic from the station through the ul. Basztowa underpass will plant you in the green space that encircles the Old Town known as the Planty. Ideal for a fair weather stroll, the Planty was once a series of medieval fortifications surrounded by a moat. 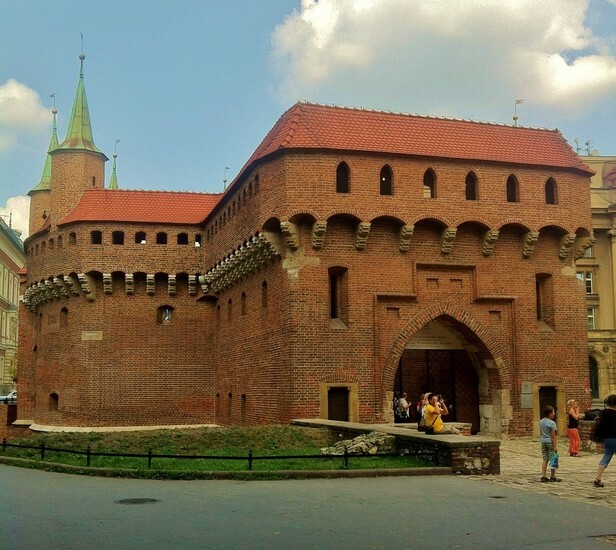 After Poland’s Third Partition in the late 18th century, the order came down from Austrian Emperor Franz Joseph I to dismantle these neglected structures, however thanks to local efforts the northern parts of the wall were spared, including the magnificent Barbican and Floriańska Gate. Walking the two blocks towards the Barbican, take note of the Słowacki Theatre to the left on ul. Szpitalna. A marvellous Baroque masterpiece from 1893, while it’s a bit difficult to infiltrate during the day, buying an affordable ticket to the theatre is highly recommended. 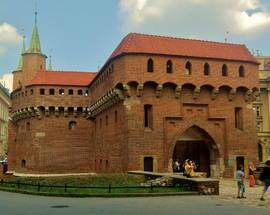 On ahead, the circular fortress of the Barbican was added to the city’s defences in the late 15th century while, directly across from it, the Floriańska Gate that officially began the Royal Route dates back to 1307. Pass through it and you’re on one of Kraków’s main commercial streets. Behind the Golden Arches, kebab and souvenir signs don’t fail to notice the architectural detail of the facades. On this street you’ll find the Jan Matejko House, as well as the under-appreciated Pharmacy Museum. 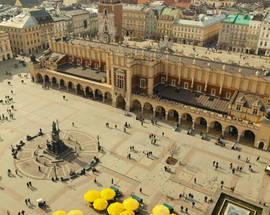 Arriving upon Kraków’s main market square or ‘Rynek,’ you are now standing in the heart of Poland with your finger on its pulse. Historically, culturally and spiritually the Rynek and Wawel may be the two most important sights in the country (sorry Warsaw). 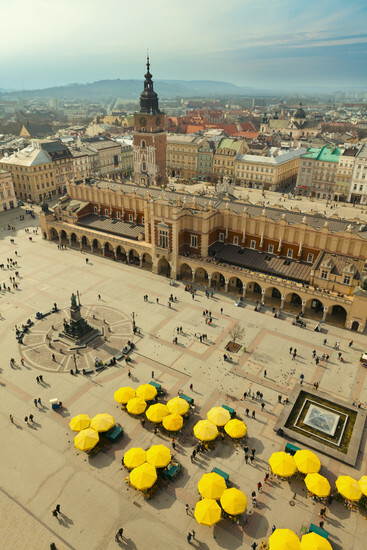 The largest medieval market square in Central Europe, Kraków’s Rynek is 200 metres square and functions as the city’s social gravitation point. Lined with cafes and restaurants, filled with people, pigeons, street performers, musicians and horse-drawn carriages, this is a place of festivals, concerts, parades and other events. At its centre lies the impressive Cloth Hall or ‘Sukiennice’ - a neo-Gothic structure which has served as a market for merchants since the Middle Ages, and whose history you can now learn in the Rynek Underground museum housed beneath it, not to mention the wonderful 19th Century Polish Art Gallery on the first floor. 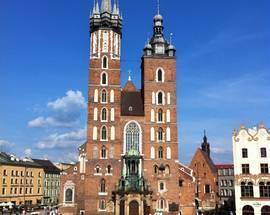 Directly before you as you’re leaving Floriańska is St. Mary’s Basilica - or Mariacki Cathedral - one of the most dazzling cathedrals in the country famed for its incredible altarpiece and stained glass. It’s from atop the taller of the two cathedral towers that a bugler plays an abbreviated tune every hour on the hour - don’t miss it. On the other side of the square you’ll find the Town Hall Tower, which offers somewhat so-so exhibits and views for those who make the climb to the top (open March 1 - December 31), plus a theatre and restaurant in the former basement prison. Leaving the Rynek follow the kings down ul. Grodzka to Plac Wszystkich Świętych. To the right is St. Francis’ Basilica with an Art Nouveau interior by Stanisław Wyspiański that should not be missed, while directly before you are three more incredible Wyspiański stained glass windows in a specially-made modern building. Ulica Grodzka leads you past the Church of Saints Peter & Paul with its striking sculptures of the 12 disciples before it. Cut across the small square to your right and you’ll find yourself on one of Kraków’s most handsome streets, ul. Kanonicza. The late Pope John Paul II’s former residence is at numbers 19-21, which now house the Archdiocesan Museum. 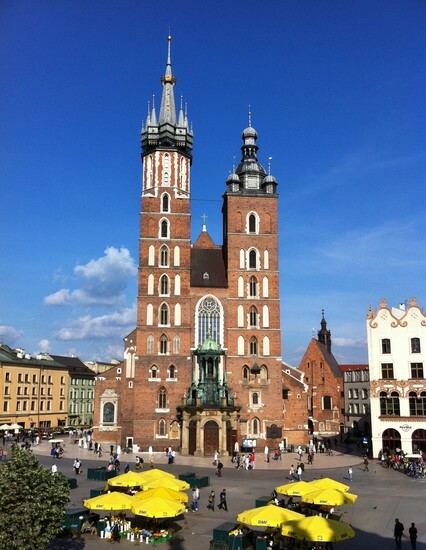 Kanonicza lets out directly at the foot of Wawel Castle, the city’s defining landmark. A source of great pride, patriotic and spiritual strength, Wawel is worth spending half a day exploring, as well as the Wisła riverbanks below.